Looking for a new subscriptions bureau? With the recently announced demise of leading subs bureau Dovetail, the big data capabilities of Circdata and other bureaux in the market are coming under the spotlight like never before as Dovetail’s large client base of publishers look for new homes. 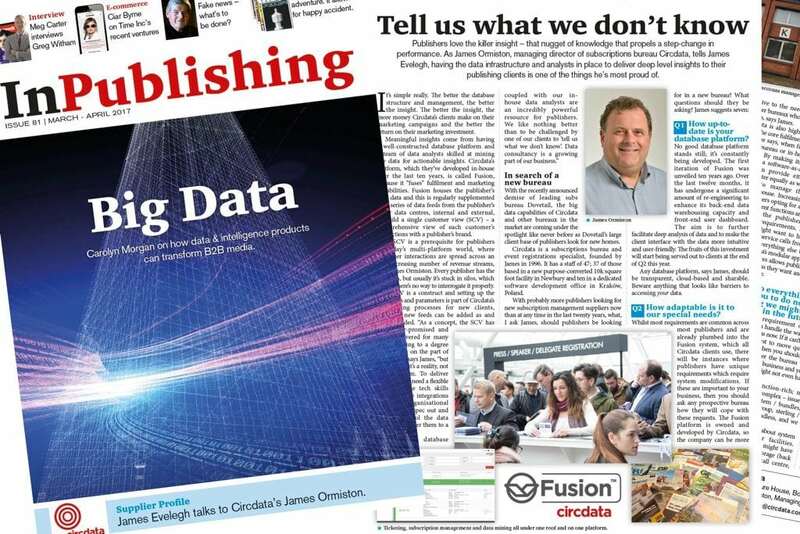 InPublishing editor James Evelegh interviewed Circdata’s managing director, James Ormiston, for the March / April 2017 issue and asked him what publishers should be looking for in a new bureau. What questions should they be asking? You can read the full article here, which includes the seven questions James recommends.